We all know the roof is vital to our home’s protection system against the weather. It’s the first line of defense against the sun, rain, ice, snow, hail, dust, wind, and other elements. That’s why if you’re thinking of getting your roofing done before winter, make sure to hire a professional roofer. 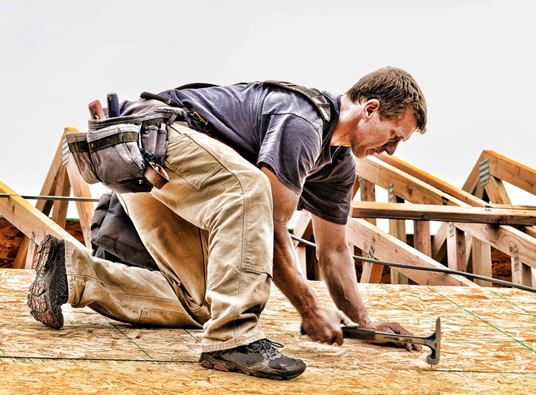 Peak Roofing Contractors, one of the top professional roofers in Northern VA, ensures high-quality roofing products and proper roofing installation every time. On the other hand, an inexperienced roofer will only cause more problems, including higher repair costs, as they usually commit four common roofing mistakes. 1. Nailing Woes – Improper nail placements and over/under driven nails may seem inconsequential. Unfortunately, these can result in different problems in your home such as damaged shingles and leaks. 2. Starter Shingles Problems – Whether not used or incorrectly laid out, these can cause problems in the installation process itself. 3. Flashing Glitches – Improper flashing installation can cause leaks all over your home. Water can easily penetrate through the roof’s valleys, joints, and edges. 4. Attic and Ceiling Ventilation Snags – Without proper attic and ceiling ventilation, moisture can easily build up over time. This can cause significant damage to your roof, as well as your attic and ceiling. Hiring a non-pro will only cause more problems. That’s why when it comes to a roof replacement or roof repair project, make sure to hire one of the top professional roofing contractors in Northern Virginia: Peak Roofing Contractors. We are a family-owned and operated roofing company that has provided excellent roofing services to home and business owners all over the region for more than twenty years. Moreover, we are an award-winning provider of roofing services that has earned many certifications from the leading brands. For all your roofing needs, call Peak Roofing Contractors at (703) 745-5153.